We're worried about the Librarians, you guys! Every single one of them, including our recently departed Jenkins (there has to be a reversal, right?? ), but it seems Baird holds the key to breaking free and defeating Nicole Noone. 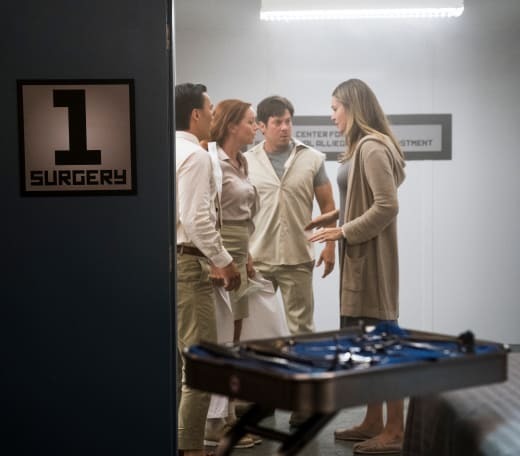 As you can see in this exclusive clip of The Librarians Season 4 Episode 12, Baird has found herself in a world without The Library. It's a gray, Orwellian place where curiosity and imagination are frowned upon. Eve's remembering her life as it was before The Library separated from humanity is the world's only hope. Unfortunately, remembering would be just the start. 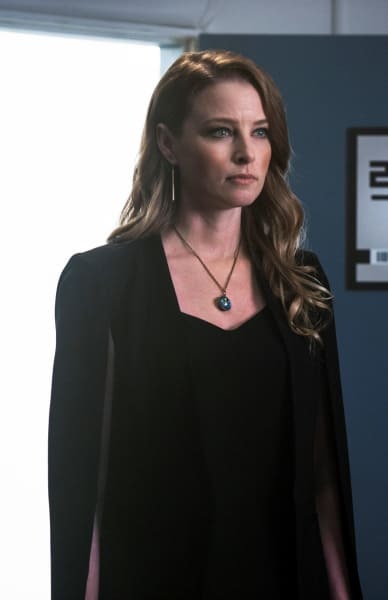 Next Baird would have to use her tactician's brain to locate the other three librarians, and then they would have to defeat Nicole, rescue Flynn and somehow resurrect Jenkins. Eve faces an uphill battle against Nicole, who has centuries more experience at being a Guardian. Nicole has masterfully manipulated everyone this season to gain her revenge against The Library. Only after all the above is accomplished can the Tethering Ceremony be performed to anchor The Library to humanity (or something like that). The ceremony will have to be performed correctly under pressure, even though all but Jenkins just putzed around during rehearsals for the ceremony. Finally, there's the big question of which LIbrarian is going to be tethered with Guardian Baird. That's a large part of what got them into this mess in the first place. If you haven't caught up with the excitement these supposed nerds (not quite!) provide, you need to watch The Librarians online right now to learn a little something about being book smart. And tune into The Librarians on TNT Wednesday at 8/7. You don't want to miss what happens next!! We'll be back with a review of the season finale shortly afterward.